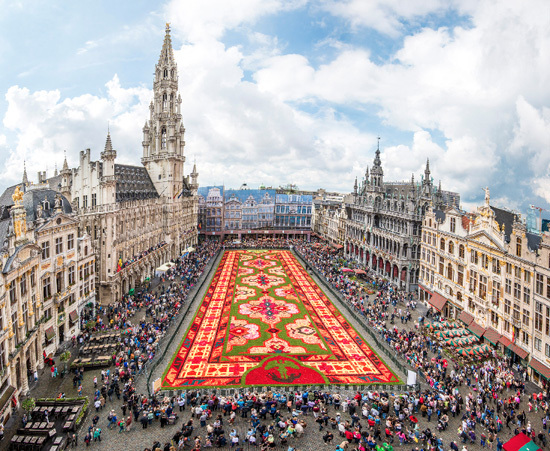 This stunning carpet measures 25m x 75m and is made from thousands of fresh Belgian Begonias. Until I stumbled upon this striking installation I did not know that Belgium cultivates 60 million begonia tubers every year, and is recognized as the world’s largest producer. 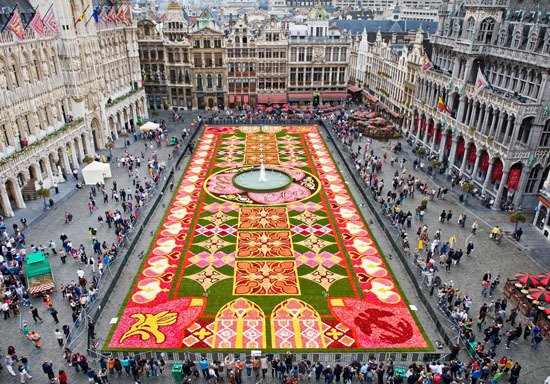 The Flower Carpet appears in Brussel's main square every 2 years. 2014's dramatic design is inspired by the Turkish Kilm (pic below). How fabulous is the work of French studio zim & zou?! This wonderful window was created for the Hermès store in paseo de gracià, Barcelona. The intricately folded and vibrantly colored paper and leather installation was made entirely by hand. The orange-and-blue-hued scene tells the story of a small fox who inhabits the space with his own personal objects, giving a glimpse into his quirks and personality. ‘the fox’s den’ is completed with furniture and household objects all made of paper, from the table and stool he sits on to the assemblage of photos hanging on the floral-patterned wall. Hermès accessories such as ties, scarves and shoes are placed throughout the dwelling, uniting the fashion label’s wearable designs and the delicate and complex papercraft work. Reposted with thanks from DesignBoom.